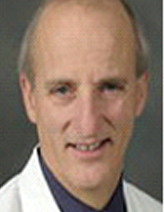 Dr. Feinstein is a Professor of Medicine at Rush University Medical Center in Chicago. He is recognized as one of the world’s leading pioneers in the development of noninvasive contrast-enhanced ultrasound (CEUS) imaging techniques and invented the first FDA-approved ultrasound contrast agent, which enables physicians to utilize safe and relatively simple ultrasound imaging techniques to diagnose cardiac abnormalities without radiation, dye or invasive diagnostic procedures. He is an NIH supported researcher and has authored more than 270 publications including scientific articles, subject reviews and chapters. He is a frequent international lecturer. Dr. Feinstein is Co-President of the International Contrast Ultrasound Society (ICUS) and serves as Program Director of the annual international ICUS conference. His remains strongly committed to the practice of preventive cardiology and to the field of translational research. The latest projects include therapeutic ultrasound; using acoustic microspheres for ultrasound-directed, site-specific, drug/gene delivery systems. Feinstein received his medical doctorate degree from the University of Minnesota, completed a residency in internal medicine at Michael Reese Hospital and Medical Center in Chicago, and completed a fellowship in cardiology at the University of California-Los Angeles/Wadsworth Veterans Administration Hospitals in Los Angeles, California.